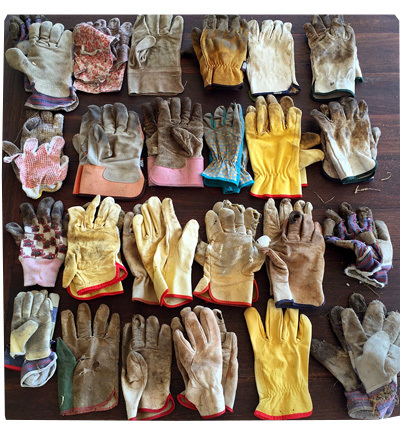 I think it’s hilarious (and incredibly silly) that we cleaned up our shed and found 24 pairs of gloves!? It was like stumbling across a rip in the universe where all the odd socks go to die. Yes we do a lot of gardening and yard work. Yes there are 5 people in our family. And yes, most of them went straight into the bin after this photo.